Amari has arrived! Not long after coming home from the hospital she had her Lethbridge newborn baby photos. Since I last saw her parents, Mom is now rocking a super cute short hair cut, and both of them look way happier than before to have such a sweetheart in their lives. Amari was a pro at her first photoshoot, bouncing in and out of sleep with hardly any fuss. She is so adorable! Barkley’s human dad came up with a great Christmas gift idea for his wife: gorgeous portraits of their new puppy! 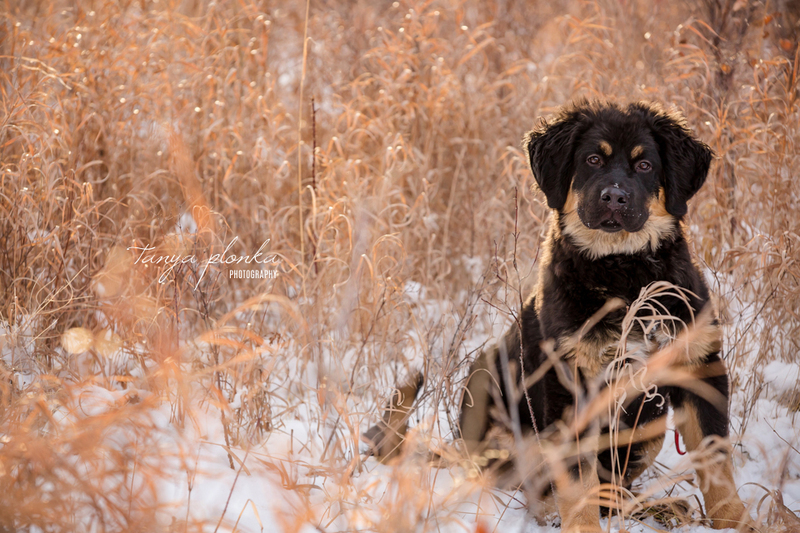 Barkley made a special trip all the way to Lethbridge for his Indian Battle Park winter puppy photos. After only a few months, Barkley is already the size of most dogs. There is definitely Saint Bernard and Bernese Mountain Dog in those giant paws of his! If we’re in Lethbridge over the Christmas holidays, I’m always happy to squeeze in families who are together for a few days. Chris and Udo had their daughters visit them for Christmas and took the opportunity to do Lethbridge indoor winter family photos at the University. Grandma and Grandpa came along too! Grandma had the biggest smiles and was so happy to be around her beautiful granddaughters and their boyfriends. Udo is significantly taller than everyone else in his family so he was like our anchor in every photo (while the family joked about always having him sit). Christina and Layne chose a beautiful sunny day for their river bottom winter maternity photos. I absolutely love golden hour at this time of year with how much the warm tones glow in the sun. We only had a bit of snow to deal with in the background! Christina radiated joy for her baby arriving soon. She and Layne also brought along their first child, JackJack. JackJack is a very small dog with a blonde mohawk! I have never seen such a unique dog before! He wasn’t so sure about what we were up to but he was a good sport about the whole thing. Charlie was treated to some senior dog celebration photos with his family who loves him very much! 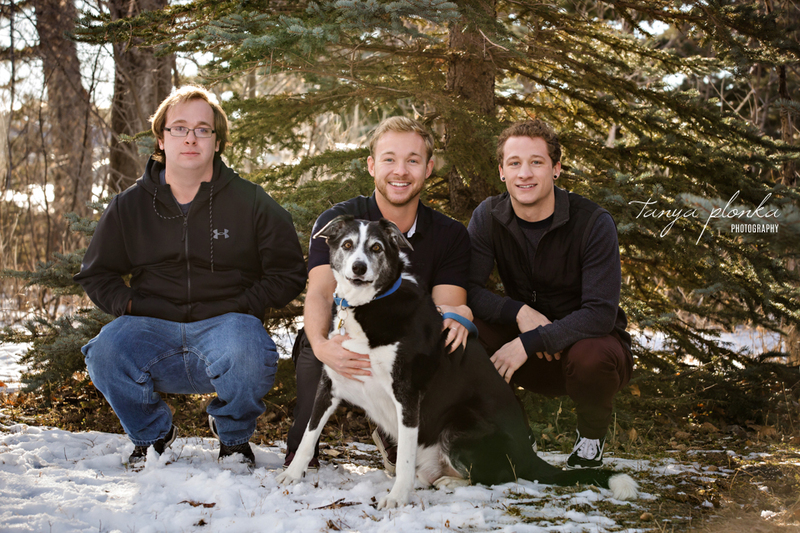 Charlie’s mom organized this special session with Charlie and his human brothers Daniel, Jake, and Luke. Even though the boys are all adults now, they still love their childhood dog so much! Charlie is just one of the boys and loved exploring Aperture Park with his family, some of whom were visiting Lethbridge just for this session. Not only did it smell like deer everywhere, but he had so many huge sticks to choose from! Part 2 of the year in review features the portrait side of things! This year marked a few firsts, including my first bunny session and my first family dressed in Batman costumes. I had so much fun with every group I worked with. 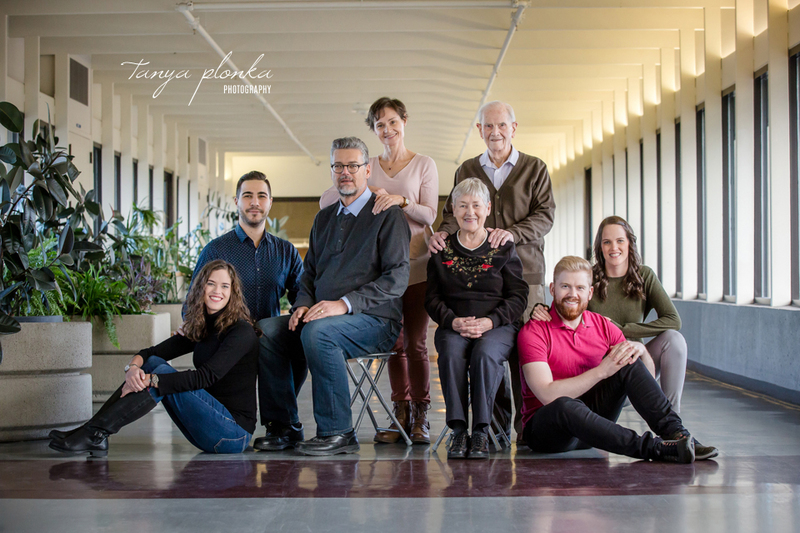 Thank you for letting me bring your personalities out in your photo sessions! 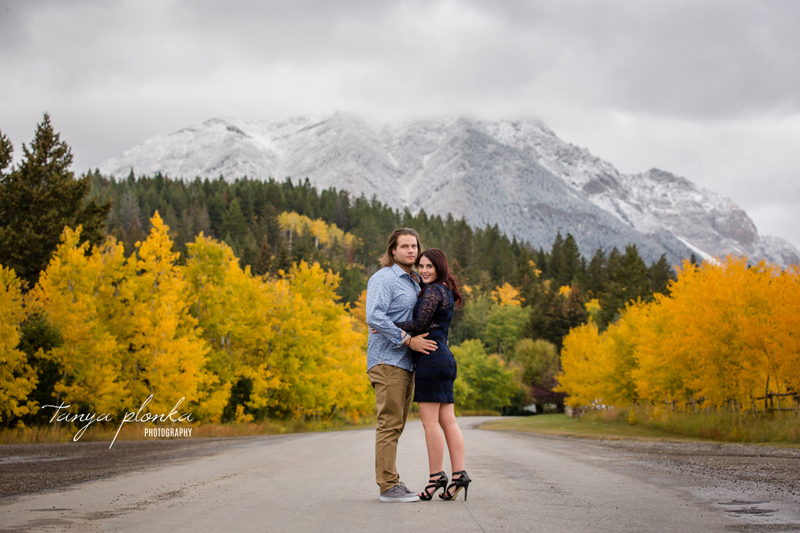 This year for portraits I stayed pretty local in Lethbridge, but also took a few special trips to the Crowsnest Pass, Waterton, Claresholm, and Magrath. The yearend marks a very special occasion – the 10th anniversary of when I started my business! So many of the people in these photos have been with me for years and I couldn’t have made it this far without their love and support. I hope you enjoy looking through our best portraits of 2018 as much as I liked choosing them!